Kevin Kilbane and Simon Grayson. Former Sunderland midfielder Kevin Kilbane has hailed the appointment of Simon Grayson as manager – and says he is a better choice than Derek McInnes. Kilbane, who was born in Preston and began his professional playing career at Deepdale, has observed Grayson’s rebuilding work at first hand for the past four and a half years. Aberdeen boss McInnes turned down the role a fortnight ago, but Kilbane believes events could end up working to Sunderland’s benefit. The 40-year-old also compared his man-management style to one of the club’s most successful managers in the modern era. He told the BBC: “If you look the track records of both managers, Grayson is a much better appointment. “Grayson has knowledge of the English leagues and a wealth of experience. “It is nothing against Derek McInnes. He may go on to excel. It may be something Sunderland regret, but, going on past performances, I believe Grayson is head and shoulders above McInnes. “His track record is excellent. He has got a lot of experience and is very much what you see is what you get. “Peter Reid was very much in that mould. He will say it as he sees it and that might upset people. but, in general, people will respect him for his views. Grayson jetted off to Austria for a training camp today, where he will get to know his squad better, though. with a number of players having left the club and some still away on international duty, he inherits a threadbare set-up in need of major surgery. 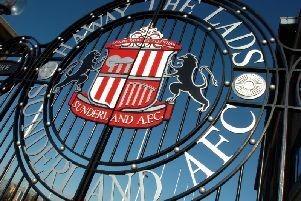 Kilbane has warned Sunderland fans that it may take time for his vision to come to fruition. He said: “With the appointment coming so late and the lack of time he has got to invest in the squad, time is against him. “Sunderland fans might not want to hear it. but it might be that this is a season of stabilisation. “We might not see the best of Sunderland in August, September and October. Maybe in December and January he will have had time to get his ideas across. “After growing up a Preston fan. I felt this season was time for Grayson and Preston to kick on and seriously challenge for the play-offs and hopefully for promotion.